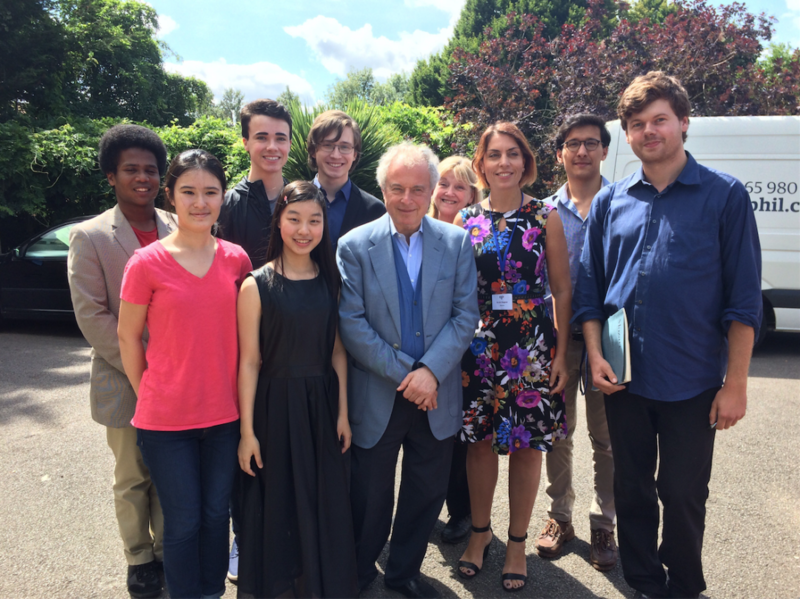 A lecture by Alfred Brendel and recitals and masterclasses by Richard Goode, Anne Quéffelec and Sir András Schiff (pictured, with students) are among the highlights of this year’s Oxford Piano Festival, taking place in the university city between 28 July and 5 August this year. Founder and director Marios Papadopoulos (pictured belkow) has cause to look back over 20 years of the festival with pride. The intensive daily diet of masterclasses, lectures and concerts has proved a durable success with the public as well as nurturing a stream of young artists who have gone on to make their own names in the piano world. This year’s 13 students are chosen from over a hundred applicants, several of whom are previous attendees. ‘It’s important that we continue to nurture a nucleus over two or three years,’ says Papadopoulos, ‘so that they are a product of the festival, and then we change guard.’ Several of the festival’s most eminent graduates will return on 4 August to give an anniversary recital, among them Dina Duisen, Ashley Fripp and Mark Viner. Also present to pass on decades of wisdom and experience will be Dame Fanny Waterman, co-founder of the Leeds International Piano Competition. Now 98 years young, she will appear at the festival on 1 August in conversation with Erica Worth, editor of Pianist. The festival Patron Alfred Brendel opens the week with a lecture on playing Mozart before Piotr Anderszewski plays Beethoven’s Diabelli Variations. Seong-Jin Cho, winner of the Chopin International Competition in Warsaw, will join Papadopoulos and the Oxford Philharmonic Orchestra for Chopin’s First Piano Concerto.